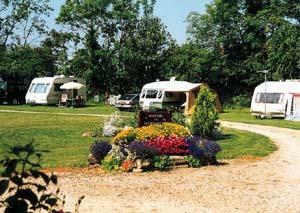 Relax in this quiet, stress free country park on large, flat, well drained pitches. Immaculate heated toilet facilities with free showers. Information centre. Public house/restaurant 150 yards. Centrally located between Coast, Broads and historic Norwich, 1/4 mile from Weavers Way Walk. Resident owners. Open: 1st March to 3rd January from £15.00 to £21.50 per pitch per night. Bank Hols £22 to £24 per pitch per night. No children allowed. Children welcome from any age. From A149 Turn right off A149, North Walsham bypass into old Yarmouth Road. Site on right after 1.25 miles. Just past Scarborough Hill Hotel. From North Walsham - 1.5 miles Come out of station and turn right. At traffic lights go straight across. At mini-roundabout turn right. At 2nd mini-roundabout turn right. Two Mills, 1 mile on left after police station and hospital.